Y09-LSSF Ms Misty is a tremendous daughter sired by Hooks Shear Force, out of a phenominal Sand Ranch Hand/SS Goldmine cow, which is genetics at its best. Y09 covers all the bases, phenotype, maternal power and performance. All this plus an API of 136, which is in the top 1%. 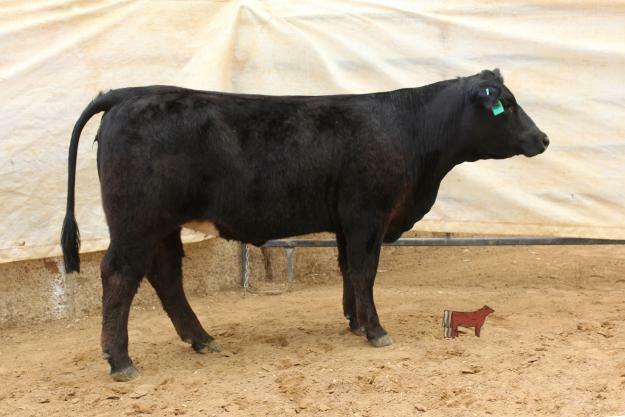 Y09 sells safe in calf to MCM Top Grade, a 3/4 x 1/4 NLC Upgrade son. A.I. dat 01/24/2013. For more information call 214-886-3610. Consigned by LS Farms.